Right now, the government is deciding whether to pass a new law, the Medical Innovation Bill, that will help doctors to find new treatments safely and responsibly for cancer and other diseases. In order to spread the word further and faster we have launched a change.org petition. Please SIGN and share with your friends. Alex Smith, CEO Harrison’s Fund, explains how the Bill could help his son Harrison, 8, who has Duchenne – a 100% fatal condition – and those with cancer and other diseases it is a matter of life and death. Standard treatments for rare cancers and other less common diseases often don’t work. And in many cases they haven’t changed or been improved for years. This leaves the patient with a terminal illness no hope, no choice and no chance. The law makes it hard for doctors to try new treatments – even when they know that standard procedures are not going to cure the patient. Offering only the standard procedure guarantees the doctor will not be sued. Safely trying something new leaves the doctor open to litigation and the loss of his or her job. This is why current law is a barrier to innovation – it creates a culture of defensive medicine in the NHS. The Medical Innovation Bill will remove this barrier and help doctors innovate safely on behalf of their patients. 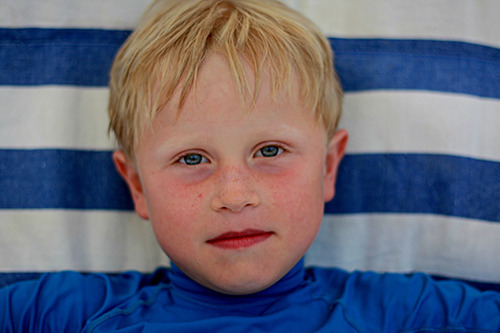 Harrison, 8, has Duchenne Muscular Dystrophy, the Bill could help him access treatments. Jeremy Hunt, Health Secretary, said he would pass the Bill into law but only if the public say they want it. Hunt said: “The government should do whatever is needed to remove barriers that prevent innovation which can save and improve lives. The Medical Innovation Bill…correctly identifies the threat of litigation as one such barrier. There are 33 days left of the Department of Health public consultation and we need your voice. Help us ensure the Government keep their promise.